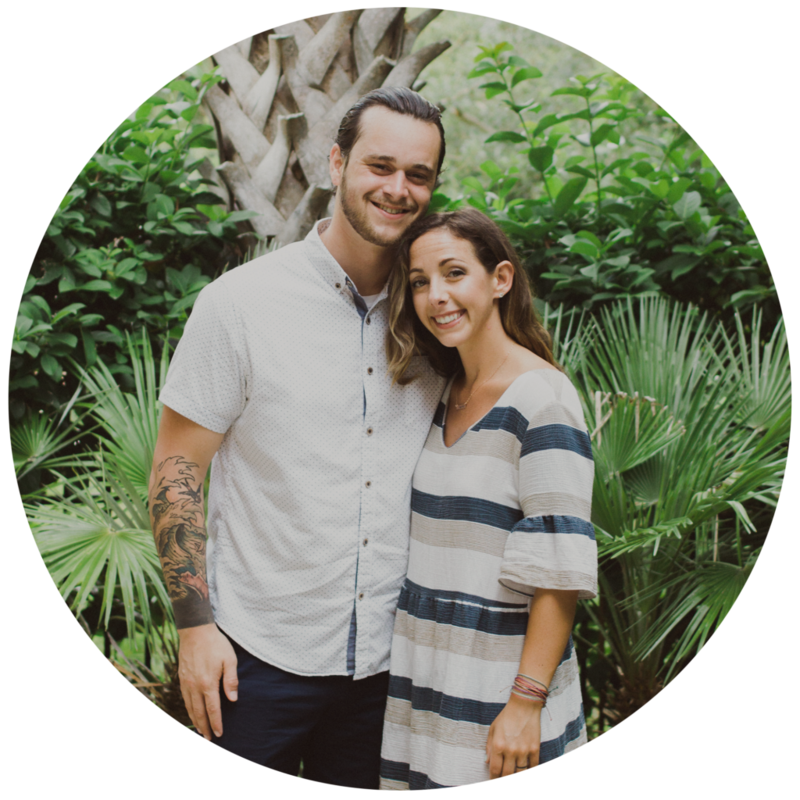 We Love Angie | Prayerfully walking alongside Angie & Ryne. It’s now been three months since the accident. We’re still blown away and amazed at God’s grace through all of this. 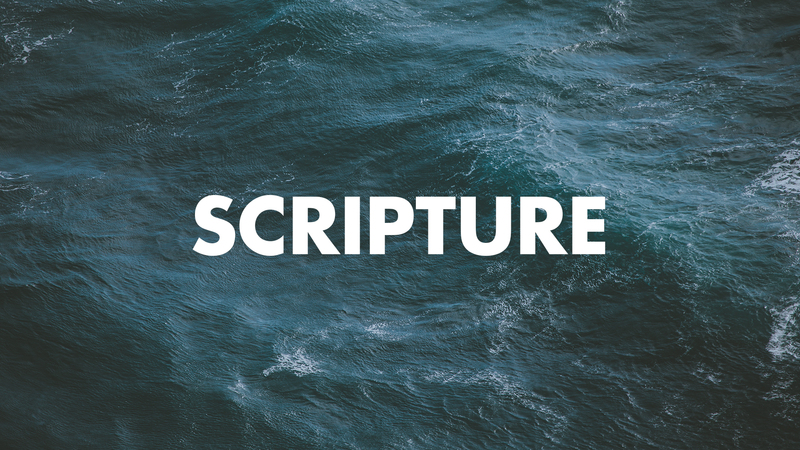 Not only are we daily thankful for God having spared Angie’s life in the accident, we’re continually reminded that it is He that is sustaining her and each of us with each day. There’s no reason we should have the strength to get through this pain apart from Him. There’s no reason we should find joy in the midst of this hardship apart from Him. We can’t help but point to God for the endurance and hope we’ve been given to face each new day. 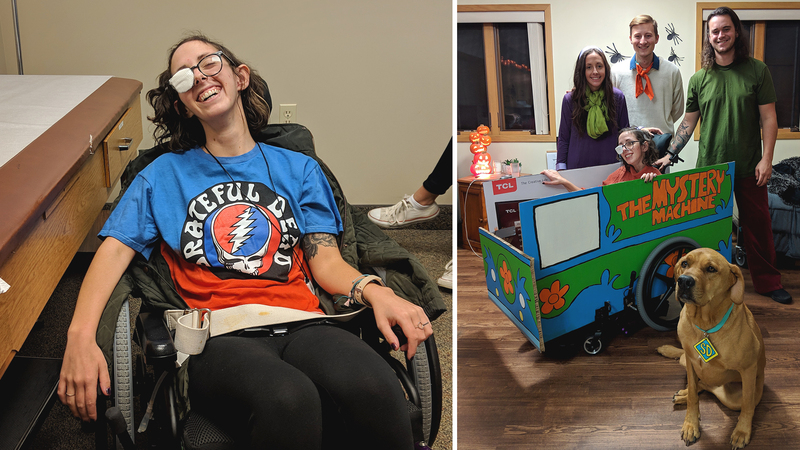 Back in mid-October, Angie passed all the metrics she needed to reach in order to be released from care at Sparrow Hospital. From there we moved over to Hope Network Neuro Rehab Center here in Lansing where we’ve been for the last month. Moving to Hope has been refreshing as it feels more “homey” than Sparrow, but it’s still a reminder that Angie isn’t truly home yet. Here at Hope, Angie has been keeping busy with her speech, occupational, and physical therapies. Each day she spends a couple hours in therapy, intermixed with the much needed rest that her body continues to need to repair itself. Angie has been focusing on improving her cognitive skills in recent therapies, especially on her information processing skills and attention. Her enduring strength continues to shine through as she’s been taking more supported steps and regaining balance. One of the most enjoyable things for Angie has been re-introducing solid foods into her diet. We’re so happy to have congealed liquids behind us (if anyone has experienced a diet of congealed water and pureed foods, they’ll know how tiring that can be) and even more so happy at the evidence of Angie’s throat continuing to heal and regain swallowing control. A week before the accident we got a dog, which is absurd timing looking back, but living with Nola has been such a blessing. Nola is living with us in our apartment at Hope and has been such an encouragement to us and the other patients. The other day Angie said “isn’t it amazing that we got Nola a week before my accident? !” What could have been another stressor in this season has lead to greater joy and comfort. Nola also was the star of our Halloween group costume. Even though we couldn’t throw our annual Halloween party this year, we were still able to partake in some festivities and bring the spooky season into our little apartment. While some people have commended our stamina to withstand these circumstances, we truly do step back and point to God and give Him all the glory. 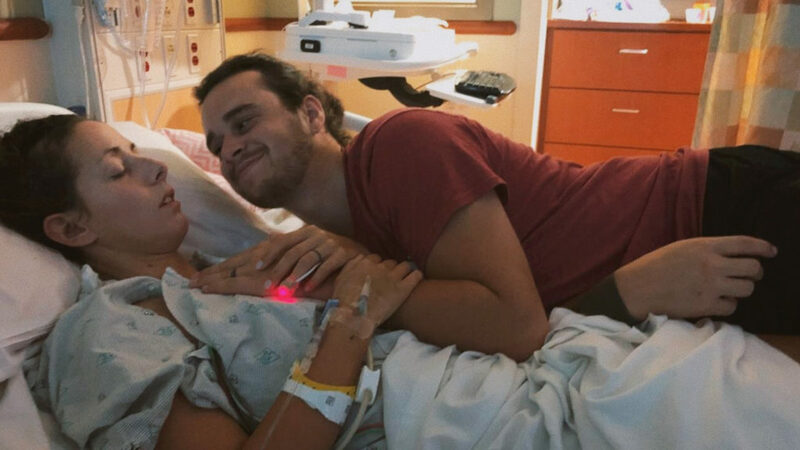 Walking in joy and heartache has been a new normal in this season and a recent pang of reality was Ang saying “I feel like I should be able to do this.” It’s these moments that remind us of the very real pain of this situation, but also bring joy at remembering just how far Angie has progressed. It is by holding onto that perspective and clinging to God’s strength that we continue to walk forward in hope, resting in His grace. 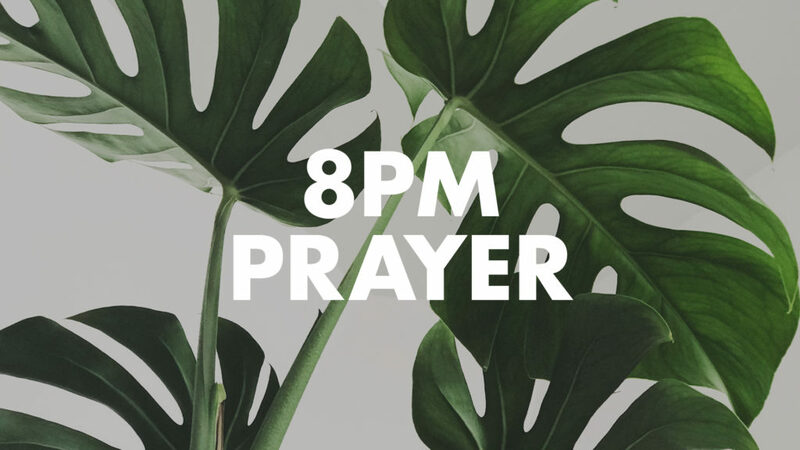 We often find ourselves without the words to pray, but take comfort in the fact that God asks us to come to Him with our requests; and when words fail, the Spirit is praying on our behalf. Thank you for being family and friends who likewise are praying on our behalf over Angie and trusting in God’s sovereignty over this all. Sorry for the delay in posts the last couple weeks. 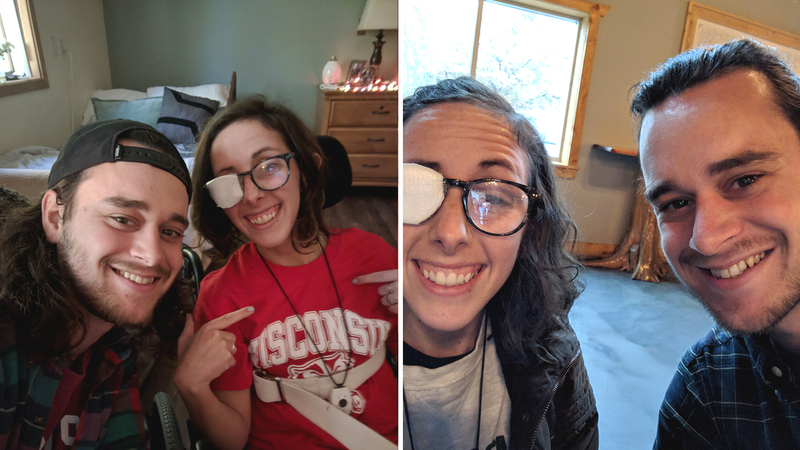 As we walk through each day with Angie, sometimes we forget how all the little steps add up to some major improvements over the course of a couple weeks. Thank you for continuing to pray over Angie and send us texts and notes of encouragement! Even when we’re unable to respond right away, it’s such a comfort and encouragement to hear from friends and family. Please keep those notes coming along as you think of us throughout the day! 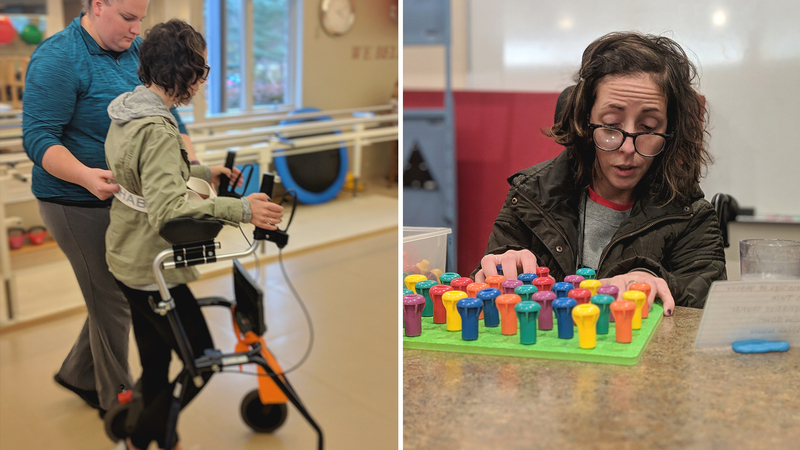 Angie has been continuing in her rehab at Sparrow, and she continually blows us away with her strength to push through the exhaustion and physical exertion that each task demands of her. 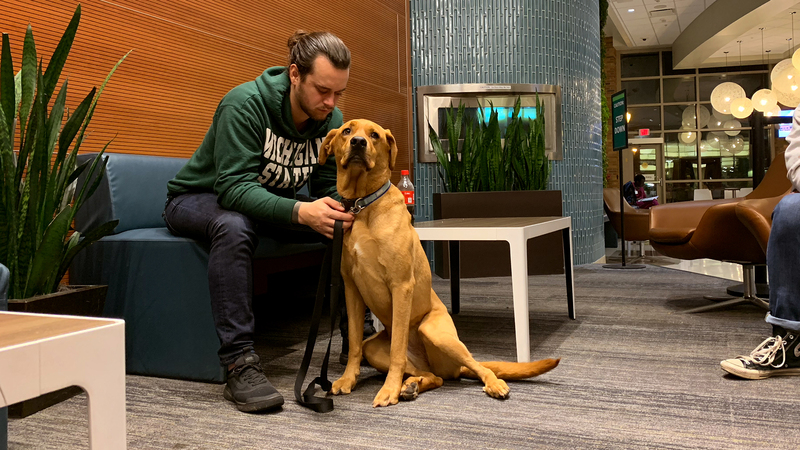 This past week Angie gained a new roommate, which has brought such joy to the whole environment! The biggest thing we’re thankful for is that Angie has started to find her voice. Initially it started as some groaning and wheezing, but this week was a turning point as she’s pulled out the strength to form words! It is such a blessing to start to hear her tone of voice again even through the strained words. Each word and phrase really takes all of her effort, but it’s been such a relief for her and she sometimes repeats what she’s saying just to hear her voice and practice the movements. While she was just communicating through Sign she expressed how frustrating it was to not be able to produce sound with her voice, so this is a huge answer to prayer. In addition to her voice finding strength, Angie’s personality is shining through stronger and stronger as her laugh is coming back and she’s often giggly (mostly at Ryne and Alex’s dry sense of humor). This peace is such a tangible answer to prayer for God to protect her from anxiety and continued frustration. Through all of this we really can only point to God for the miraculous healing that is happening in Angie’s brain, body, and voice. He truly is the God of restoration and seeing Him work in this way, all we can do is step back and give Him the glory. We’re thankful for God being good and loving through all of this. We’re thankful for God being with Angie even when we aren’t physically present with her in her room. We’re thankful that Angie passed her swallow test and has been able to slowly introduce liquid foods into her diet. We’re thankful for God having preserved Angie’s life in the accident and His bringing her back to us. 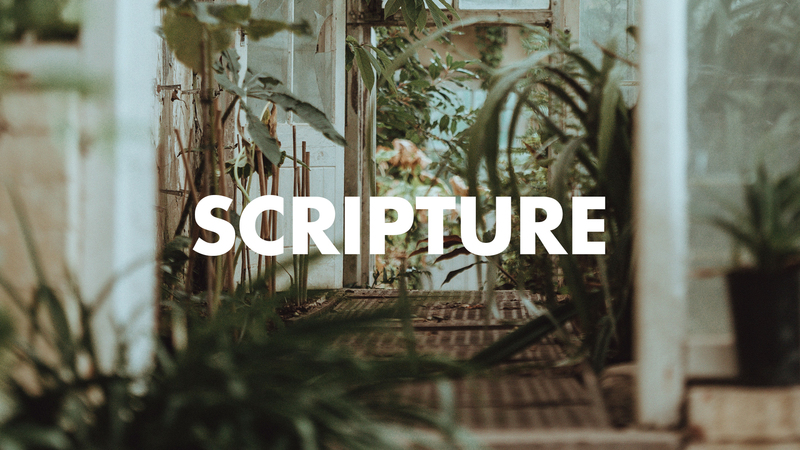 We’re thankful that we can witness God’s power in the heights and depths and fullness of this story that He’s writing. We’re thankful that we can lean into God in the midst of the confusion of emotions and unknown-ness of our situation. 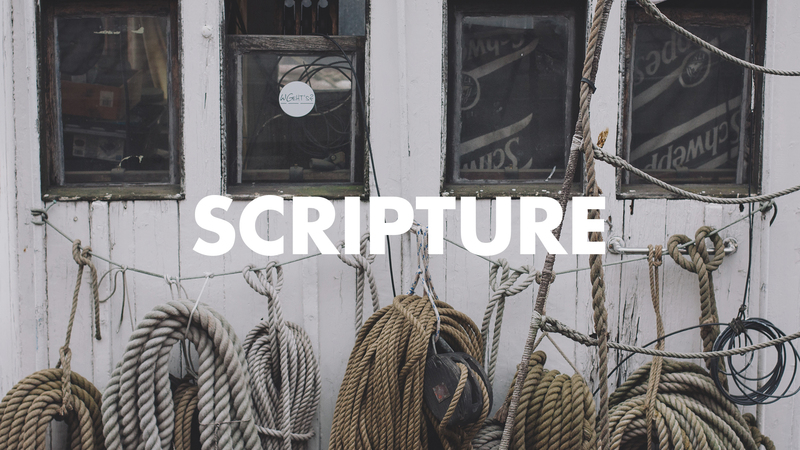 We’re thankful for the grace that God has given us and that His grace is sufficient. With each improvement we witness, it’s also hard; wondering if each skill gained will be the end of her improvement. Will her speech improve beyond this point? Will her walking improve? Will her full ability to eat improve? These doubts and questions strike the reality of the situation and how long this road will be. 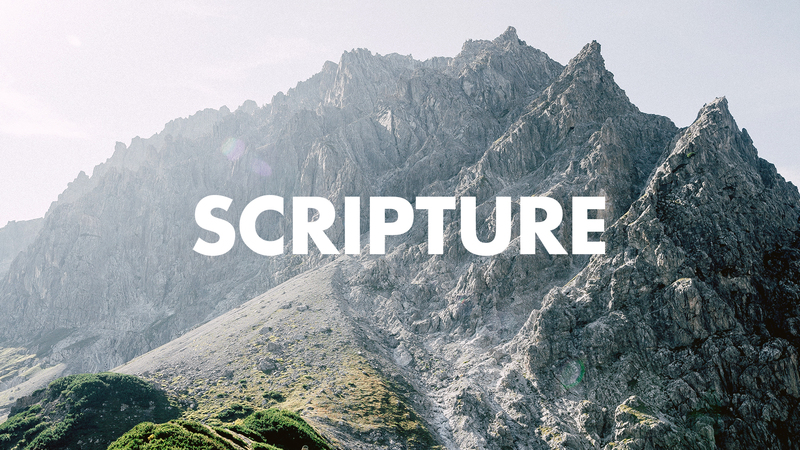 Yet despite, and in light of, these doubts we are fully confident in God’s character and goodness. We pray boldly for Him to fully heal Angie, but will give Him the glory no matter what the outcome. Please continue to pray with us for our Angie! Today is four weeks from the accident. 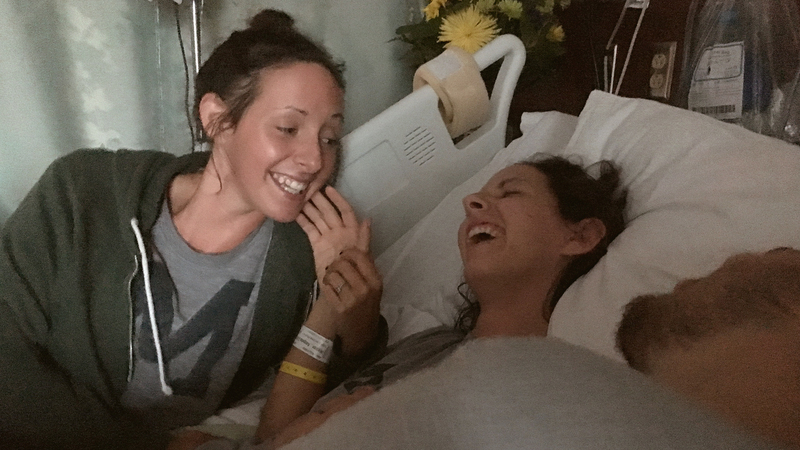 We were reminded again this week that it truly is a miracle that Angie’s life was spared in the accident. 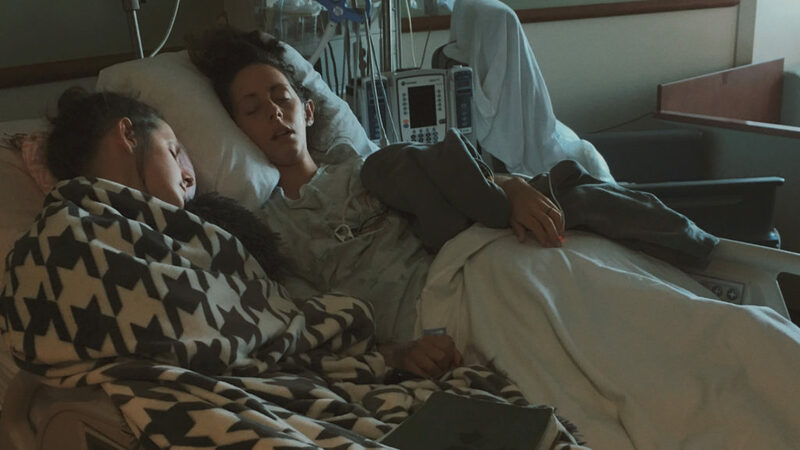 Speaking with the doctors and emergency responders, we can only point to God for the gift of Angie’s life being preserved through the trauma her body experienced. God is good and He is loving and we give Him the glory for saving her life. On top of the miracle of her life, these past couple weeks have shown us how the mercies of God have permeated so many aspects of this journey. The first week in the hospital the doctors could have fostered in us a false hope, but they were honest and presented us with the facts of the situation. In hindsight, we’re so thankful for the doctor’s wisdom both in caring for Angie and for guarding our emotions from over-expecting results from her recovery. These past 28 days Angie has progressed in so many ways both mentally and physically. 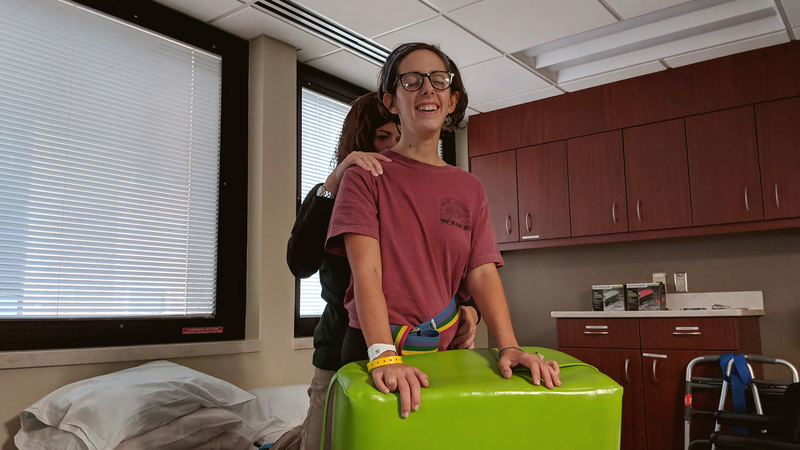 In the Mary Free Bed facility at Sparrow, Angie has been participating in daily rehab exercises in physical, occupational, recreational, and speech therapy. 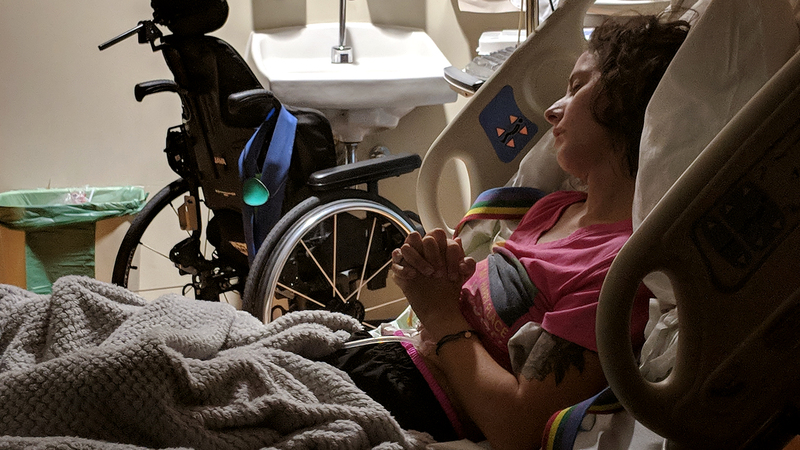 On average she’s working three hours a day regaining strength and mobility, and outside of those sessions she’s been mostly resting (during which we’ve all enjoyed a Harry Potter movie marathon and best-of episodes from The Office). 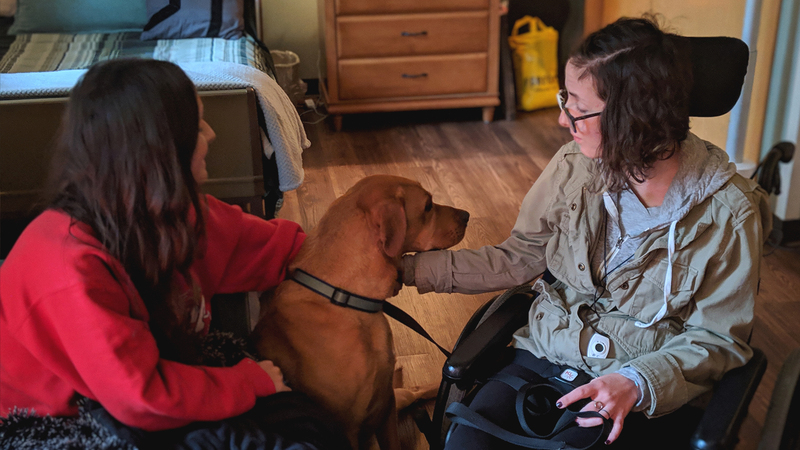 Angie is increasingly cognizant each day and has been able to communicate through thumbs up and down, multiple choice options with numbers, and surprising us all, hand-lettering with Sign (which we completely forgot her and Amanda had learned when they were younger). The other day we witnessed a beautiful moment as Angie woke up from a nap and after Ryne said “I love you” she hand-lettered back “I L-O-V-E Y-O-U.” While there’s still some uncertainty how much of her memory and knowledge is still foggy, it’s evident Angie is aware of relationships and their significance in her life. With Angie’s increased communication, we’ve seen her frustration at the inability to communicate verbally with us. Yet even with her limited means of communication we’ve seen her personality and humor shine through. We’re praying for peace for Angie in this area in particular that she not be discouraged with slow progress. 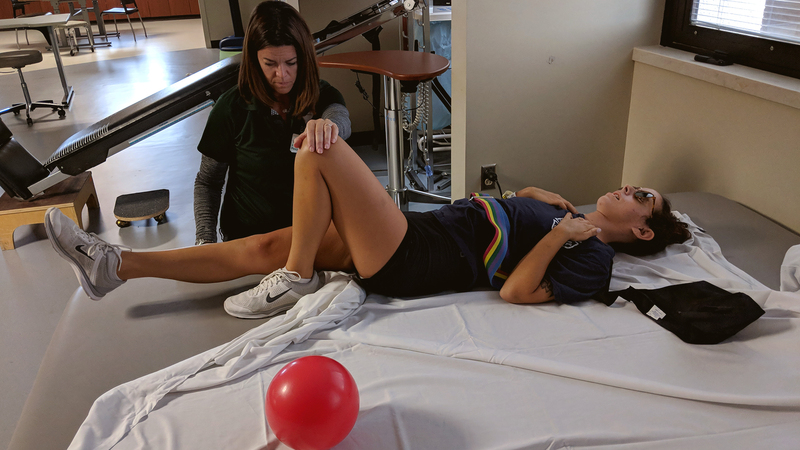 In her increased mobility and strength building through rehab, Angie has been quite exhausted and is also experiencing what’s called Neurofatigue. This is due to the fact that her brain is having to overwork to do tasks that each of us take for granted each day. Different parts of her brain are compensating from the trauma as well as rebuilding connections to carry out daily functions. This is a natural part of rehab but it can still be tough for us to see her so tired out. 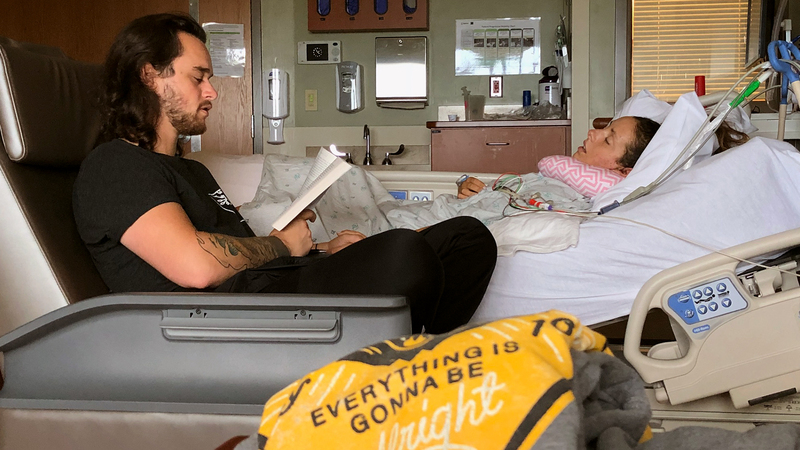 This next phase in Angie’s journey will probably be longer than our time in the NICU and it’s been a transition for us as that had become a bit of a norm. 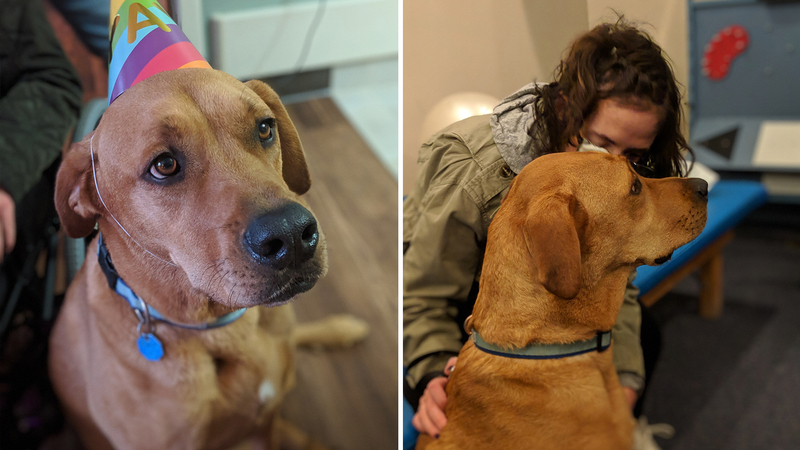 We’re so thankful she’s moved into therapy, but it’s a bit challenging moving from what we were used to. Please text when you think about us or Angie. Angie’s phone is on and working and she’d love to hear from friends and family (we’ll read to her any texts that you send). There’s a decent likelihood we won’t respond right away (or at all) but know that we’ll read your texts to her and that they’re really encouraging to each of us! Click here for some opportunities to support us financially and with meals. These continued gifts have been a huge blessing for us all – thank you! We love reading your notes and stories. Keep sending those in and know that we read and cherish each one! Thanks again for all your continual prayers, support, and hope you’ve shown in so many ways. 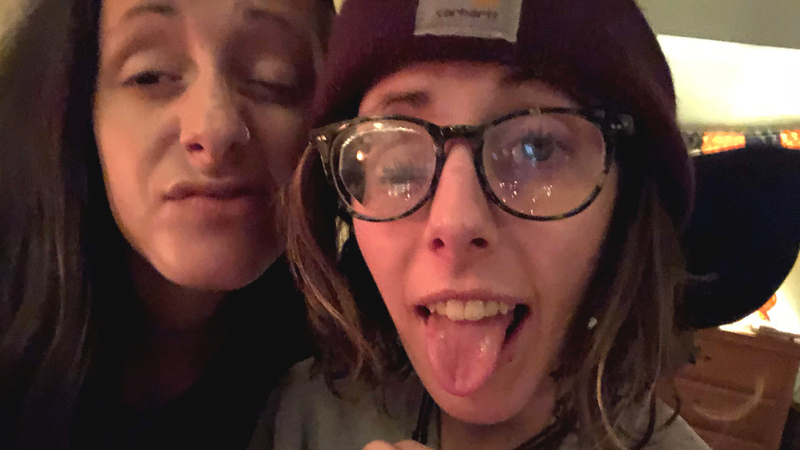 Today marks fifteen days into our long journey toward recovery. 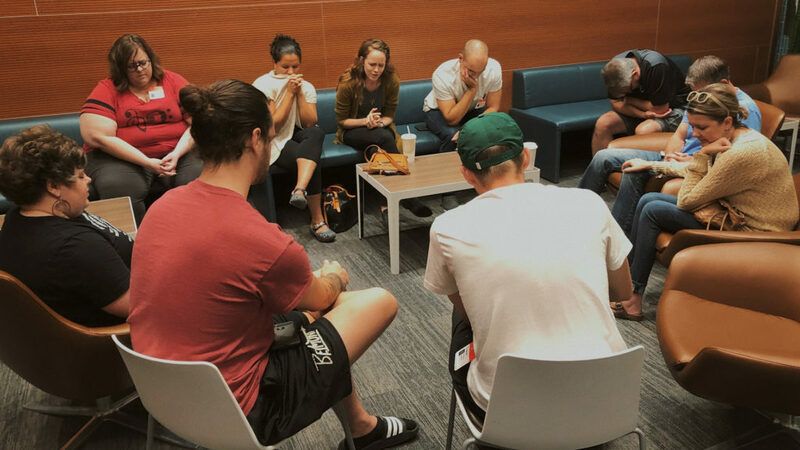 To the many friends, family, and yet-to-be-met acquaintances who have been walking alongside us in this journey, thank you so much for the prayers, notes, and continued hope for Angie. 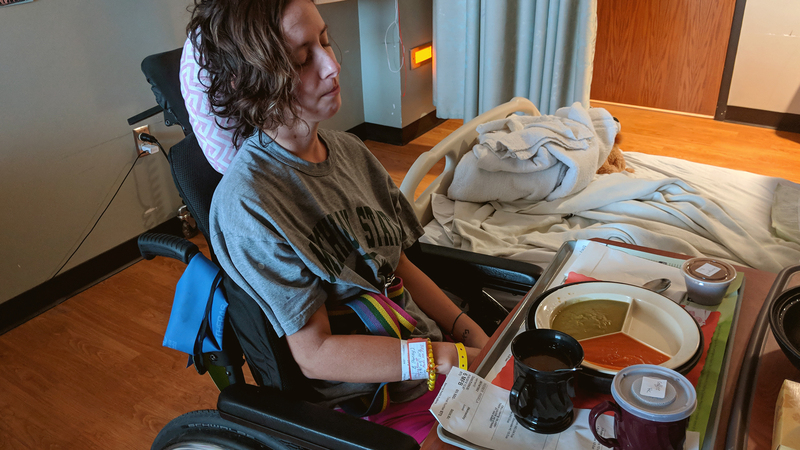 In the last two weeks, we’ve been wading through many unknowns as we’ve witnessed the immediacy of Angie’s condition and questioned the many different paths the future may hold. Through this time we’ve so appreciated the space you’ve given us and the respect for our somewhat vague and brief updates on Angie’s condition. With so many initial questions and our emotional rawness, that margin to sort through everything was really beneficial in getting to where we are today. 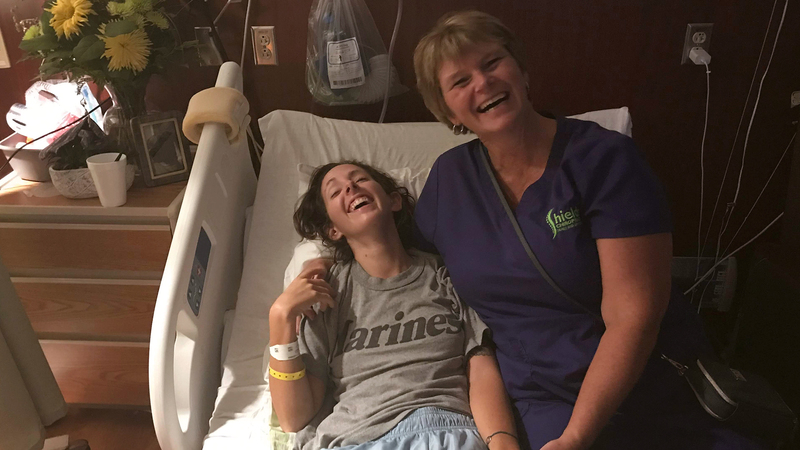 In conjunction with the doctor’s evaluations, we feel that Angie is entering a transitional stage of her recovery and we’d like to divulge a few more details of the situation. In the accident, the trauma was largely isolated to Angie’s brain. She has a few fractures in her skull (which amazingly allowed the brain to swell as needed for its healing process to begin), a broken shoulder bone, and a few stitches on her ear, but avoided any other major bodily injuries. We’re so encouraged at Angie’s increased responsiveness and awareness. It is evident that she recognizes family (Ryne and Amanda in particular) and responds with smiles when they are near. 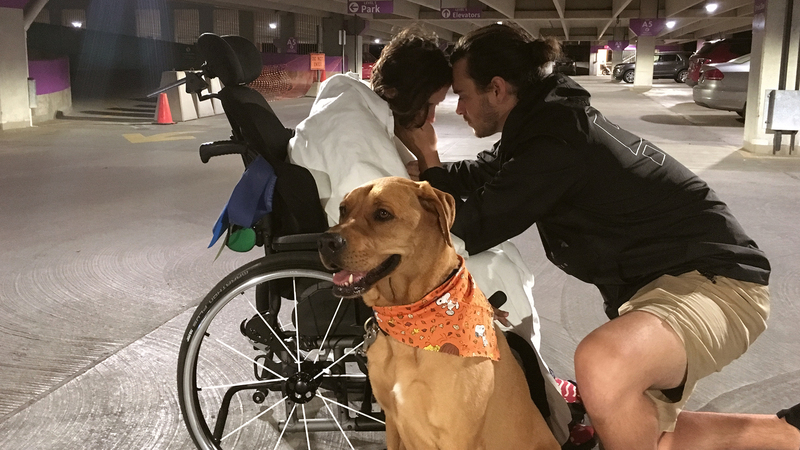 Angie has also been communicating through squeezing hands and nods – which is so encouraging for us to see her express her feelings in this way and be increasingly able to connect with us. 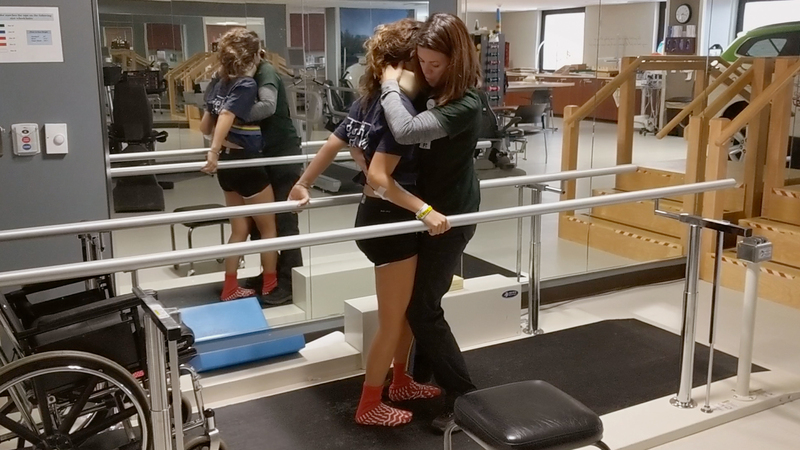 Angie has been participating in regular physical therapy during which she’s been able to move her arms and legs and is able to stand with some support. She’ll be continuing to work on these exercises daily. 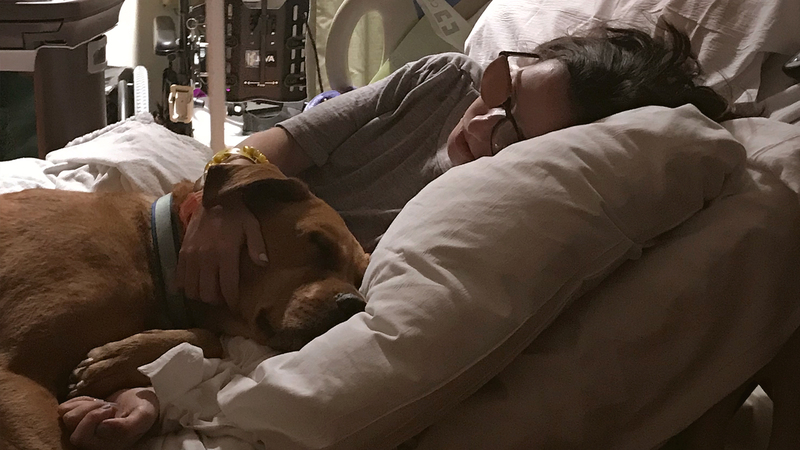 For the last two weeks Angie has been in the Neuro Intensive Care Unit at Sparrow Hospital and, having passed a number of benchmarks with physical therapy and being cleared of any infection, was moved to Step Down ICU earlier this week, which is indicative of her needing less constant monitoring. This is also the stage between ICU and entering rehabilitation. With her current trajectory of improvement, and infection again ruled out, the doctors gave Angie the go ahead to move into rehab today! Angie is now staying in Mary Free Bed at Sparrow which offers inpatient rehabilitation care. 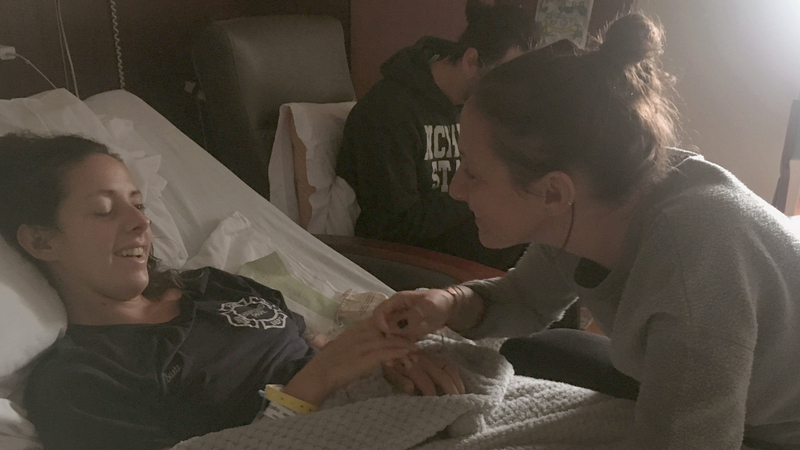 She’ll be partaking in at least three hours of therapy a day while she continues to regain mobility and strength. Angie will be here for a few weeks, after which we’ll be deciding on the next best location for her continued recovery. 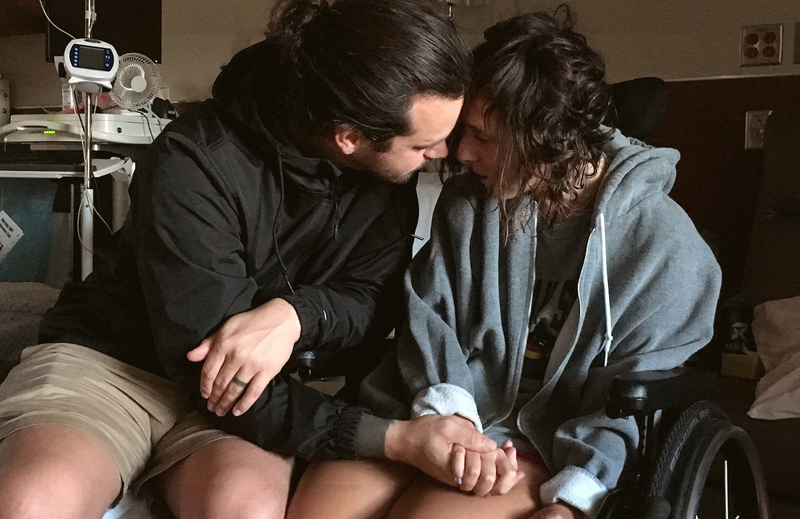 While all of these are little steps in and of themselves, collectively they’ve shown us how far Angie has come and how fervently she is fighting her physical trials. We continue to thank God for the graces He’s shown us through all of this, and continue to trust in His sovereignty. In just these two weeks, we’ve experienced so many of you reach out to us in selfless ways and continue to offer support and help in this time. We currently have three tangible opportunities for you to partner with us in the journey to recovery. Please pass along these links and opportunities to anyone you believe may be interested in helping out as well. God calls us to lift up our prayers to Him. Acknowledging who He is, surrendering our fears, and presenting our requests, there is power in coming to Him in prayer. 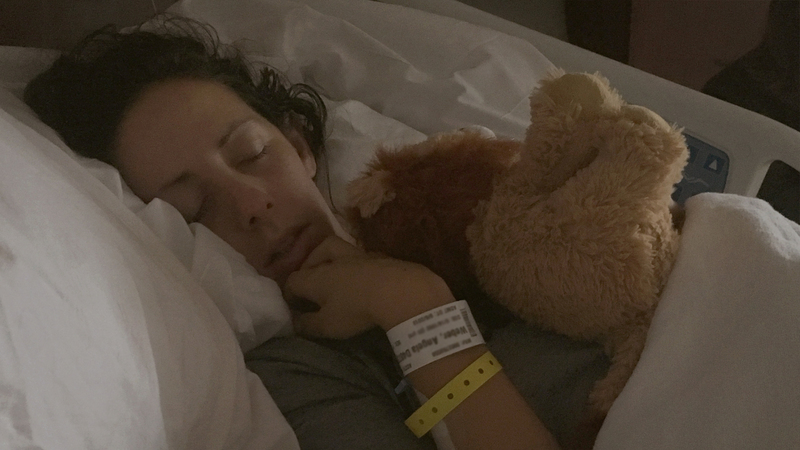 Please continue to pray for Angie’s complete recovery, and click here for our most recent prayer requests. We’re humbled by your partnership with us in this journey and the continued love, care, and support we’re receiving. Holding onto hope and resting in God’s sovereignty as we take this next step.